Recent work has proposed a promising approach to improving scalability of program synthesis by allowing the user to supply a syntactic template that constrains the space of potential programs. Unfortunately, creating templates often requires nontrivial effort from the user, which impedes the usability of the synthesizer. 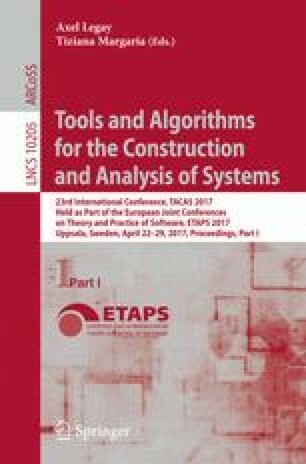 We present a solution to this problem in the context of recursive transformations on algebraic data-types. Our approach relies on polymorphic synthesis constructs: a small but powerful extension to the language of syntactic templates, which makes it possible to define a program space in a concise and highly reusable manner, while at the same time retains the scalability benefits of conventional templates. This approach enables end-users to reuse predefined templates from a library for a wide variety of problems with little effort. The paper also describes a novel optimization that further improves the performance and the scalability of the system. We evaluated the approach on a set of benchmarks that most notably includes desugaring functions for lambda calculus, which force the synthesizer to discover Church encodings for pairs and boolean operations. We would like to thank the authors of Leon and Rosette for their help in comparing against their systems and the reviewers for their feedback. This research was supported by NSF award #1139056 (ExCAPE).